My mum left me a few books when she visited this summer, she knew I wouldn’t be returning to work and thought it would be nice to leave them here to give me something to occupy my time. I’m so glad she did! One of them is called, ‘I heart New York’. This book is a MUST-READ for all girls in their 20’s, 30’s. Saying that, my mum is much older than this and she loved it. Here’s a brief description.. When Angela catches her boyfriend with another woman at her best friend’s wedding in the car with his pants down……….. she’s heartbroken and desperate to run away. Especially once she’s confronted her friend and inadvertently broken the groom’s hand, in front of the entire reception. There’s only one place that will cheer her up. New York. Join Angela as she lands down in the big apple, holes up in a luxurious hotel, gets a head to toe makeover and meets a gorgeous man in Starbucks. 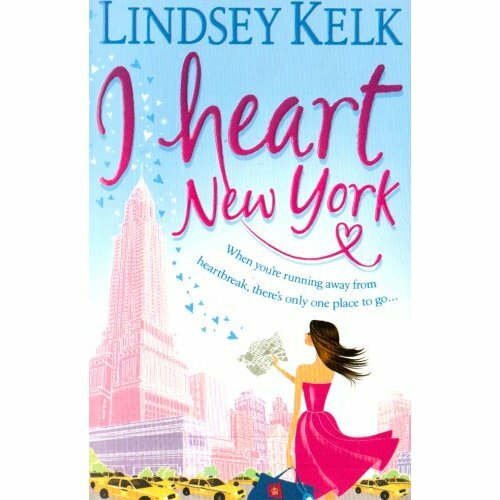 I HEART NEW YORK is a fabulous, feel-good romantic comedy, guaranteed to be the biggest summer read and the launch of a huge new talent. I’m almost finished. Few more chapters… I’ve never laughed so much at a book. This isn’t rotation, this is preparation. Well, it seems I’m not the only one thinking..the question isn’t IF but WHEN… Dailymail1 has also been thinking along the same lines as myself. So, here’s what I’m talking about……..
Ok, you get my point, I’m not posting any more links BUT ….there are also troops heading here from Florida, Minnesota, New York, New Hampshire, Delaware, New England and Lousiana………these are the ones that I have found so far…. So- HERE IS MY QUESTION. Are America going to give us a ‘false flag’ attack? Are Iran going to hit Israel? Are Israel going to hit Iran? Are America going to hit Iran? All I can say is, God Help Us. Update: Just read two more .. Alma and Tennessee National Guard also on their way. This isn’t rotation……….this is preparation. Burger King is set to launch the Pizza Burger – a two-in-one dish that contains more than 2,500 calories and is four times the size of the chain’s Whoppers. I’m guessing Fahad won’t be happy about this and for all those tryingtobefahad well, you best stay clear of Burger King. The meal will delight fast-food fans when it is exclusively introduced at Burger King’s Whopper Bar in Times Square, New York, next month. Besides the beef and a 9.5-inch sesame bun, the Pizza Burger is topped with pepperoni, mozzarella, Tuscan pesto and marinara sauce. It also comes in six slices, just like a pizza. It has been dubbed the “fat bomb” because, for $13 (£8.40) (which is around 4kd), customers can bite into 2,520 calories – the recommended daily intake is 2,500 calories for men and 2,000 for women. I know I won’t be trying any of it. Do Burger King really need a pizza burger? And for those wondering who Fahad is…he’s this really cool guys that helps us stay slim. You can find him on twitter…….